Have you see the Challenge that Cloud 9 is running for a whole 12 months?? You design a 12″ block (finished) and submit it, and you may be in for a chance to win a full FQ Bundle of their new Cirrus Solids (21 colors). 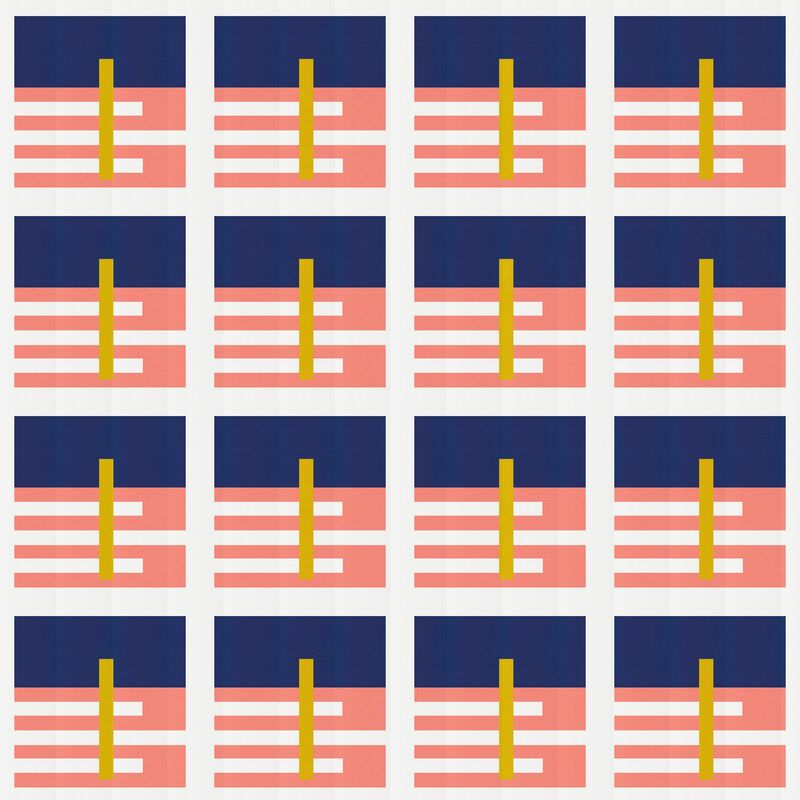 Your entries are cumulative…so if you don’t win this month your design is still in for a chance for the rest of the year. More details on how to submit and rules can be found here. Why I am telling you all of this? I am “Miss February”. 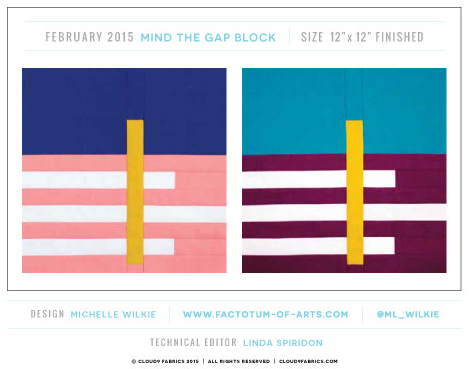 My design “Mind the Gap” won the Block of the Month for February. I hope you go over and check out the BOM and the new Cirrus Solids!! Have fun!! Linking up with Lorna@Sew Fresh Quilts for Let’s bee Social (see button on the right). This entry was posted in Uncategorized and tagged BOM Challenge, Cirrus Solids, cloud 9, Design contest, Winner on February 6, 2015 by mlwilkie. I love this block and they layout is great! Congrats! That’s awesome. The block looks great! Congratulations! I really like your “Mind the Gap” and the layouts. The third one is my favorite. This is a very inspiring challenge for me. congrats lady!!! love this block. So neat and congrats!! Such an interesting block and all the layouts they highlighted with it are inspiring! Congrats – well deserved. One of these days I’ll take a shot at entering. How cool! Congrats on winning this month!